This design was inspired by SturlesiDesign. Please do not resell this design, it was created for personal use only. This design can be cut and engraved out of 3-6mm clear cast acrylic. You will need to work out how to make the base. 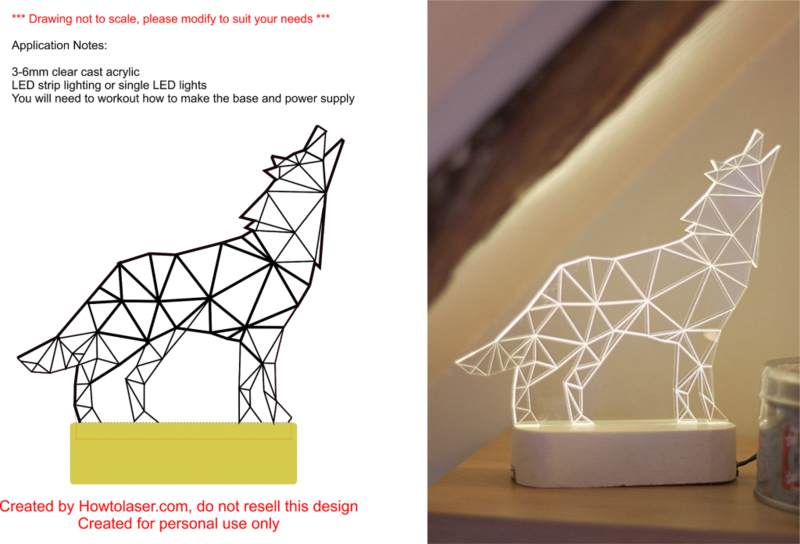 You may use LED strip lighting or single LEDs to illuminate the engraving.